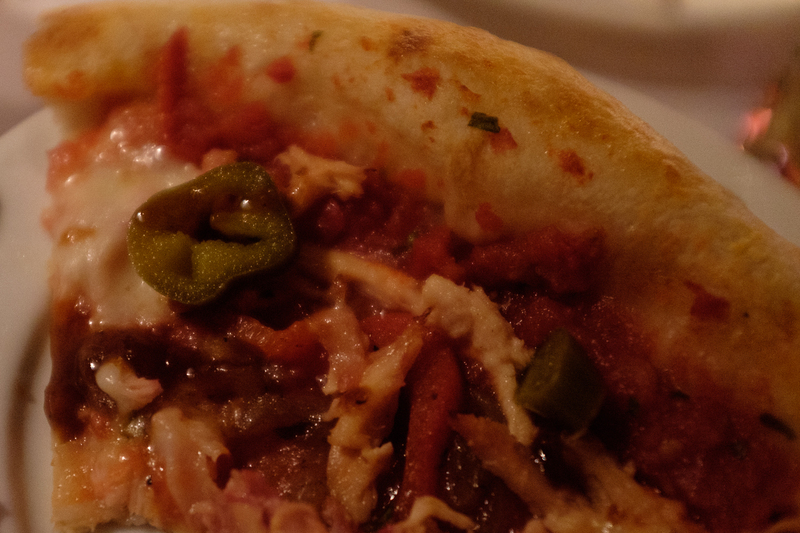 On Wednesday, I went to Pie Tunes, an event at The Red Tomato where we were invited to sample pizzas. 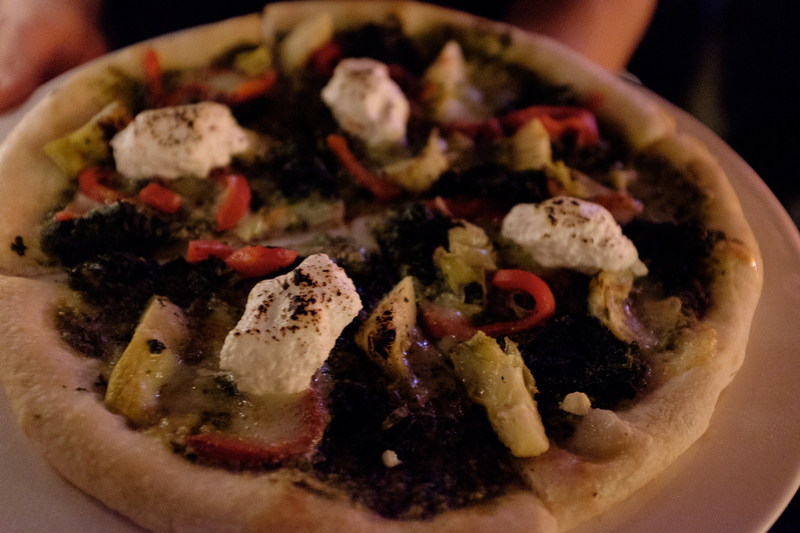 We’ve been patrons here before for their set dinners but we’ve never tried the pizza. It’s a small space below Fred’s not here, with the same owners (yes, a guy named Fred does exist). We arrived a little later than the 5pm start time and by then, there were no more seats so we stood awkwardly at a standing table. The bloggers who happened to be seated at tables I found were served more than us and generally treated with more care and attention. For a little while we didn’t know what was going on or if we were just in the wrong place. Finally we were offered a slice of the Spinach and Artichoke pizza with brûlée ricotta cheese and walnut pesto (pictured above). It was a deliciously light combination. 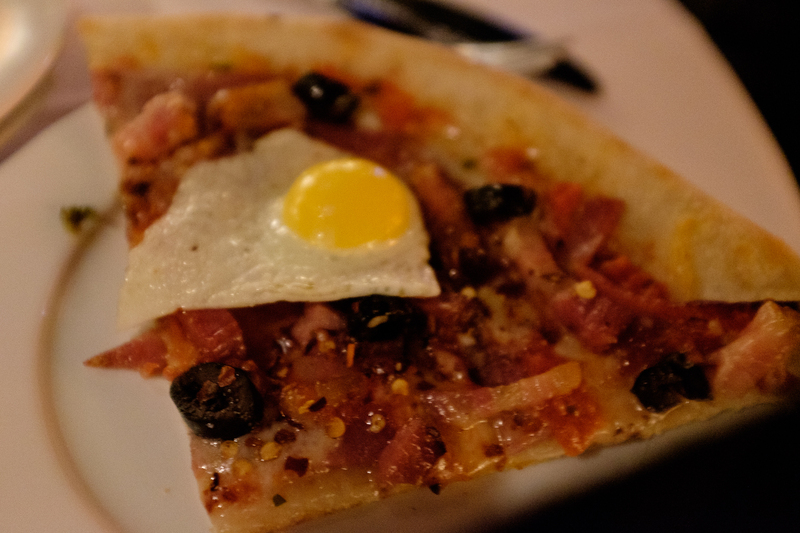 Next was the Hangover Cure which had soppresata, tomato, olives, double smoked bacon, mozzarella, grana padano, chillies and topped with a fried egg on each piece. It was truly a hangover cure! There wasn’t a cocktail menu so I asked our server what was the recommendation and he said a sangria. You can’t go wrong with sangria right? 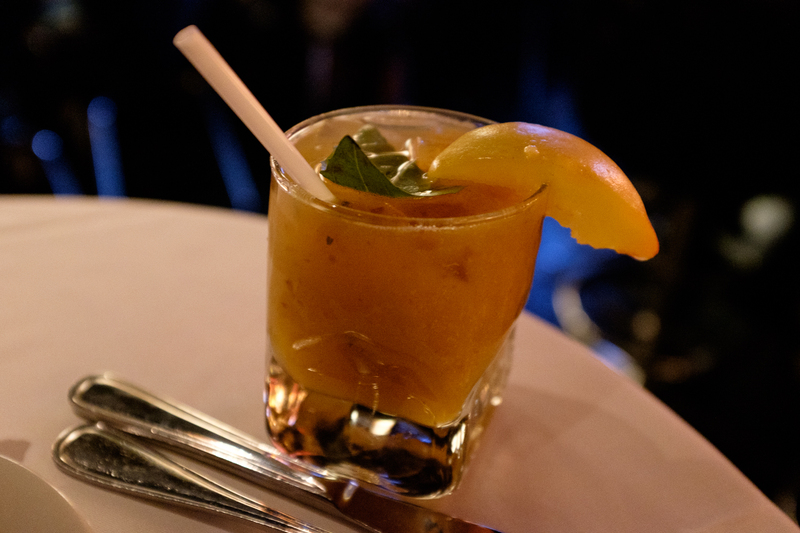 This particular one was a tropical flavour with pineapple and banana. Excuse the horrible photo but this was a slice of Smoked Chicken pizza before I got impatient and ate it before taking a photo! It was a delicious combination of chicken, chipotle bbq sauce, and peppers, some of which were a spicey! I think my favourite of the pieces I tried was the Pork Belly. Fatty pork belly pieces (yum!) 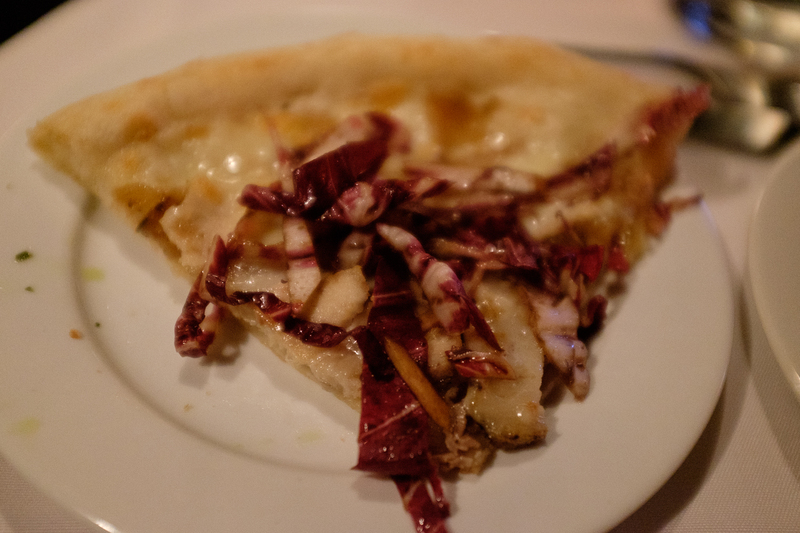 were lightened by white sauce, radicchio and onion. We spent an hour there listening to the music and wondering if most of the pizzas would ever make it’s way to us. We watched the bloggers at tables get served twice as many as us or the others at standing tables and the bar. I don’t know if they were people more important or whatever, but we were invited (plus influencers too!) and I thought that all invited guests should’ve be treated with the same respect. We left after the fourth piece because we were stuffed and didn’t want to wait forever to try something else. The pizzas were really good but I felt that the event would’ve benefited from being split into multiple nights where everyone was equally served.